The Dept of Inland Fisheries and Wildlife has announced two special weekends in 2016 to enhance opportunities for snowmobilers this winter. The first, being hailed as the “Tri-State Snowmobile Weekend“, is scheduled for Jan 29-31. This weekend event enables full reciprocity for Maine, Vermont and New Hampshire riders. All currently registered machines may use the entire trail network throughout all three states without having to register in another state. Mainers can explore the trails of Vermont & New Hampshire, while our neighbors may do the same here in the Pine Tree state. As with the first weekend event, this is a reciprocal event for our neighbors to the north and east to explore Maine’s 14,000 miles of trails. With the increased traffic anticipated during the reciprocal snowmobile weekends, we remind all riders to obey laws of prudent operation, do not drink and drive, and be mindful that this is a family sport, so please keep our trails safe. 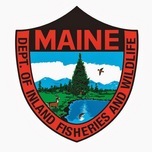 Pay extra close attention to ice conditions on all Maine waterways especially when travelling at night, and ride with caution.